As you lay yourself down to sleep tonight, don’t forget to set your clocks back one hour. 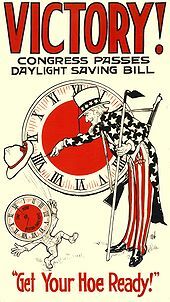 Yep, it’s that time of year again, time to “fall back” and end Daylight Savings Time until March. The “fall back” is always more welcome than the “spring forward,” as we gain an hour of sleep, but why do we even do it? But it really wasn’t until April of 1916 when the German Empire and Austria-Hungary first used DST as a way to conserve coal during WWI. Seeing its advantages, Britain followed suit as did the U.S. in 1918. It became especially popular during the 1970’s energy crisis and was thought to decrease the need for residential lighting. Congress later repealed DST and even avid golfer and craver of more daylight, President Woodrow Wilson, couldn’t get it approved again. During all the appeals and vetoes, New York City retained DST locally so its financial exhanges could maintain an hour of trading with London, and Chicago and Cleveland followed the Big Apple’s move. In a word, DST was not done yet. People either love it or hate it. DST that is, which is the time we are in from March through November. It is during these months that we are “saving” as much daylight as we can in a work day. Generally speaking, those in favor of DST include retailers, outdoor sports enthusiasts, tourism operators, and anyone who benefits from increased evening light. These proponents argue that DST and a longer amount of afternoon sunlight not only helps their businesses, but saves energy, promotes outdoor exercise, reduces traffic accidents, and cuts back on crime. “Fortune” magazine somewhat supported these claims in a survey that determined a seven-week extension of DST would yield an additional $30 million for 7-Eleven stores. Meanwhile, the National Golf Foundation estimates DST may increase golf industry revenues $200 million. Not so fast say opponents though, including farmers and parents of young children. Farmers are early risers and often prefer morning sun to evening sun as they believe grain is best harvested after dew evaporates. Dairy farmers also complain about time change, as their cows are sensitive to any schedule or system changes. Parents despise the thought of pitch black morning bus stops and soccer practices cut short due to lack of light. Those in the television industry are also against it, as they claim DST hurts prime-time ratings and viewing. Whether for or against it, the biannual time shifts wreak havoc with timekeeping, travel, billing, and even sleep patterns. Thankfully computer software adjusts automatically or things could get really ugly! In general, industrialized sectors of societies are okay with DST while agrarian or agricultural ones prefer being governed by a natural length of daylight hours. People in general are thought to prefer more daylight after a work day rather than at the start of one, which gives them more time for outdoor activities after a long day of work and also decreases the need for costly electricity and heating. To complicate things even more, higher latitudes like those in Alaska and Iceland are hardly impacted by time changes because the lengths of days and nights change more extremely than those in other latitudes. In fact, work days in places like Anchorage and Reykjavik are affected very little by sunrise and sunset. So changing a clock one hour might give Nome 22 hours of daylight rather than 21 or 23. Meh. The opposite holds true in locations near the equator because sunrise times don’t vary enough to justify a time adjustment. Finally, manipulating time and its effect on society also varies according to how far east or west a location is within a given time zone. Those farther east benefit more from DST than those farther west in the same time zone. In the U.S., a one hour shift occurs at 02:00 local time, or 2 a.m. In the spring, the shift is from the last instant of 01:59 standard time to 03:00 DST so that day really only has 23 hours. 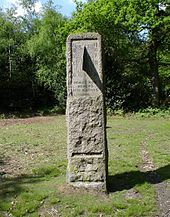 In autumn, the clock moves backward from the last instant of 01:59 DST to 01:00 standard time, giving the day 25 hours because the last one is repeated. Thankfully time changes are normally scheduled on weekends to lessen work week complications. And how weird would it be if we changed clocks at 2 p.m. rather than 2 a.m.? Insanity! When we switch varies by year and location, but most of the U.S. and Canada do so on the second Sunday in March and the first Sunday in November. Believe it or not, we used to move the clocks back one hour on the last Sunday in October, but a little holiday called Halloween and the need for extra daylight on it was one reason for pushing the date to the first Sunday in November. Not surprisingly, in the southern hemisphere the dates are reversed. In Europe, all time zones spring forward and fall back in unison, while most of North America does so at 02:00 local time, meaning the various time zones do so at different times. Think about it, until March, Denver is one hour behind Chicago, but on “spring forward” day, for one hour it is two hours behind the Windy City because Chicago moves forward one hour earlier than Denver does. This was actually all new to me as I researched the topic. I always thought it was yet another American thing. Still, although many countries participate in DST in one form or another, only a minority of the world’s population does so because Asia and Africa do not. When you think about it though, this has been going on for ages. Take a look at any ancient civilization’s early clocks and calendars and it becomes obvious that they based everything on the sun and quite possibly in a more efficient manner than even DST does. 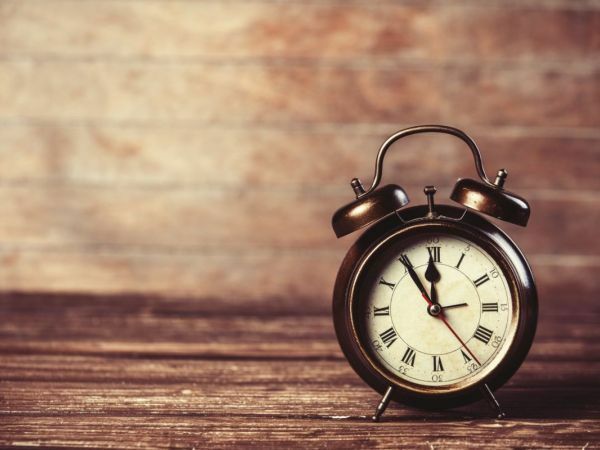 Love it or hate, if nothing else, most agree that using the two annual time changes to check things like smoke and carbon monoxide detector batteries is a good thing. It is also recommended families practice fire escapes and family disaster plans when they change their clocks. Other suggested checks include vehicle inspections, hazardous material storage, thermostat and AC filters, and even vaccinations. If it’s just too much for you to take, then perhaps you might want to move to Arizona or Hawaii, neither of which use DST. This leads many to think that Arizona is on two different time zones, depending on the time of the year: Pacific Daylight Time during the summer and Mountain Standard Time during the winter. The Grand Canyon state does indeed share the same time as California and Nevada during the summer months but “Pacific Daylight Time” is a DST summer time zone term and is used only during DST time for places that observe Pacific Standard Time during the non-daylight period. Since most parts of Arizona do not observe DST, they remain on MST year round. The Navajo Nation, which extends into Arizona, New Mexico, and Utah, observes DST from April to October. The Hopi Nation however, which is within the Navajo Nation, does observe DST. Other states, communities, and regions are considering alternatives to DST. One of the most radical options being thrown around puts New England in the Atlantic Time Zone with Nova Scotia and Puerto Rico instead of its current Eastern Time Zone. This, unlike merely opting out of DST under the federal Uniform Time Act, would require Congressional approval and seems a little radical even to the most ardent anti-DST folks. Nearly half of the U.S. population lives in the EST so would residents of Boston really want to be in synch time-wise with Canada rather than New York and Washington? Sounds questionable to me, especially considering matching time with New York’s financial institutions is considered so important that cities like Detroit have successfully petioned to join EST. And you thought it was all just a matter of remembering to change your alarm clocks before going to bed and then resetting all the clocks around your house, in your car, and at your workplace. Nope, it goes way beyond falling back and springing forward. The calendar we use is called the Gregorian calendar and was put into place by Pope Gregory XIII in 1582. On this calendar, every year divisible by four has an extra day. “Centurial years,” those ending in double zeros, have an extra day only if they are divisible by 400. This is why 2000 was a leap year but the year 1900 was not. Also known as an intercalary year, a leap year contains an additional day that is added to the calendar year to keep it synchronized with the astronomical or seasonal year. A non-leap year is called a common year. 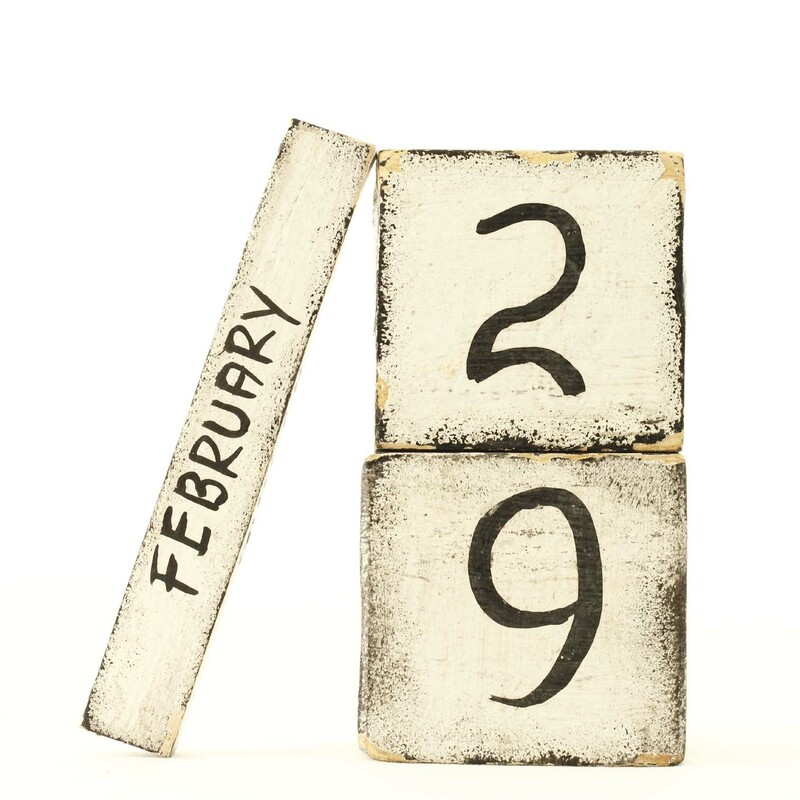 The extra day, called a leap day, is usually February 29 and only comes around every four years. It is added in leap years because the Earth doesn’t orbit the sun in exactly 365 days. The name is thought to come from the fact that, while a fixed date in the Gregorian calendar normally advances one day of the week from one year to the next, the day of the week in the 12 months following a leap day (March 1-February 28 of the following year), will advance two days, thus “leaping” over one of the days. So, why is a leap day always in February? It looks like tradition wins out here. February was originally chosen as the month in which to add a leap day and it stuck. Another question that comes up is, if you were born on a leap February 29, when do you celebrate your birthday each year after? Codes vary state-by-state, but most consider March 1 as a “leap baby’s” birthday. There is a 1 in 1,500 chance of being born on a leap day and babies born on one are thought to have special talents according to astrologers. Wish we didn’t have to change the time…it messes with my sleep too much.